A great Vegas vacation is only as great as the amount of planning that goes into it. Here are our top 5 tips for doing Vegas the way she likes it. Tip 1: Get Here on a Monday and Leave on Thursday– When it comes to most adventures, the weekends offer the greatest amount of opportunity. However, Vegas does not recognize weekends, and this is because every night is a weekend in Vegas. The only addition to going during a weekend, is a group of thick-wasted tourists and their snotty nosed kids, so do yourself a favor and book for the weekdays. Tip 2: Dress the Part of a Vegas Gentleman– Today’s lifestyle is casual for men. We wear tennis shoes to work, shorts to a nice restaurants, and a t-shirt to the club. 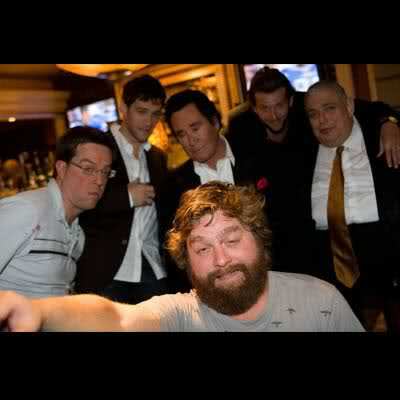 There is no such thing as a casual Friday in Las Vegas. The reality is that a well-dressed man will get where he wants to go, while the casual man will get stuck waiting in a bunch of endless lines. Tip 3: Make Yourself into a Bona Fide VIP Host– You may have heard that you need a VIP host to get into the pool parties and nightclubs without spending half the day waiting in a line. It is true that the most popular places can be difficult to get into. However, rather than spending the money on a host, who may or may not do right by you, you can accomplish the same things by calling the club yourself, and asking what they can offer a stylish gentlemen such as yourself. Tip 4: Get Your Steak at Ellis Island– Just ask any taxi driver, and he (or she) will tell you that one of the best steaks in this town will only cost you $9 at Ellis Island, and it will taste more like $29.95. Tip 5: There are Four Pool Parties Worth the Wait– Playing a VIP host and dressing the part will improve your chances of getting into a pool party. However, expect to wait a bit to gain entrance, and if you’re going to waste the time, you better make sure it will be worth it. The four pool parties we highly recommend are Tao Beach at the Venetian, Moorea Beach Club at Mandalay Bay, Venus at Caesars, Bare at the Mirage, and the Sappire Pool and Day Club.